Why did I just find this “Caspian sea” yogurt!? This “Caspian sea” yogurt is so dense, so creamy, so soft, and yet so low in calories! Per 100 grams, it contains only 40 kcal with 0 g. of fat. Unlike other “non-fat” yogurt, it doesn’t contain sugar either! WIth equal proportion of carbs and protein (about 5 g. each) it is actually an ideal yogurt to support the morning routine. Again, normal non-fat yogurt needs a lot of added sugar to compensate for the lack of fat, hence making it high in carbs and is unnaturally sweet – almost to the point of too sweet for some of the brands. This added sugar also liquefies the yogurt, making the texture very watery. When poured out of the tub, you can observe water coming out first. This is smaller in size and has some sugar added. One serving is about 100 kcal, 10 g. carbs, 5.5 g. of protein, and 4.5 g. of fat. This is SUPER DENSE AND CREAMY AND CONCENTRATED. YOU NEED TO TRY THIS. Period. No more I could say. It’s so good and satisfying. If you’re hungry in the middle of the day or have a late night working day. Go to any convenience store and grab this little magic in your hand. Your tongue and stomach will love you for doing so. It has 1/3 calories of normal cream cheese, and is suggested as the alternative thereof to spread on a baguette. As dense as greek yogurt, but the texture in your mouth would be different. If you spot these fancy blue tubs of yogurt in any supermarket, just be brave and give them a try!! I think they will be really good for baking as well! Indulge people! A little bit more about Caspian sea yogurt itself, you can read more here: What is Caspian sea yogurt? 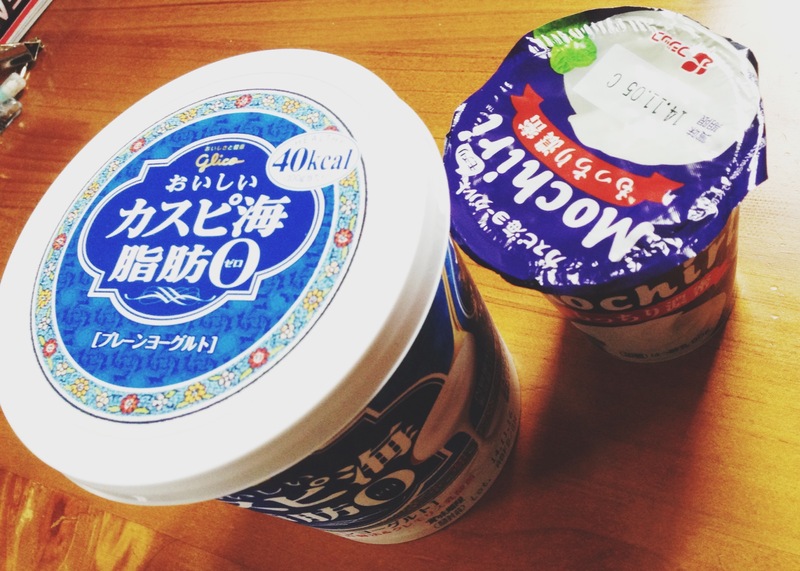 Dr.Yamori, Honnor professor of Kyoto University investigated the foods consumed in the Cocassas region, the birthplace of this Caspian sea yogurt. Among several yogurts, he found that Caspian sea yogurt might be the long kept secret of the people’s long longevity. “Pinkberry” popular frozen yogurt brand from LA coming to TOKYO!! Born in California, LA, in 2005, Pinkberry is one of the most popular frozen yogurt franchise business. (featured in Gossip girls as well) Wait no more, Tokyo girls! It’s coming to ODAIBA, to be opened on July 18! Pinkberry’s appealing points is that it uses only non-fat milk and yogurt, which comes in 6 flavors: original, strawberry, pomegranate, cookies&cream, chocolate hazelnuts, and mango. Anddddd THIS! is my FAVORITE yogurt at the moment! 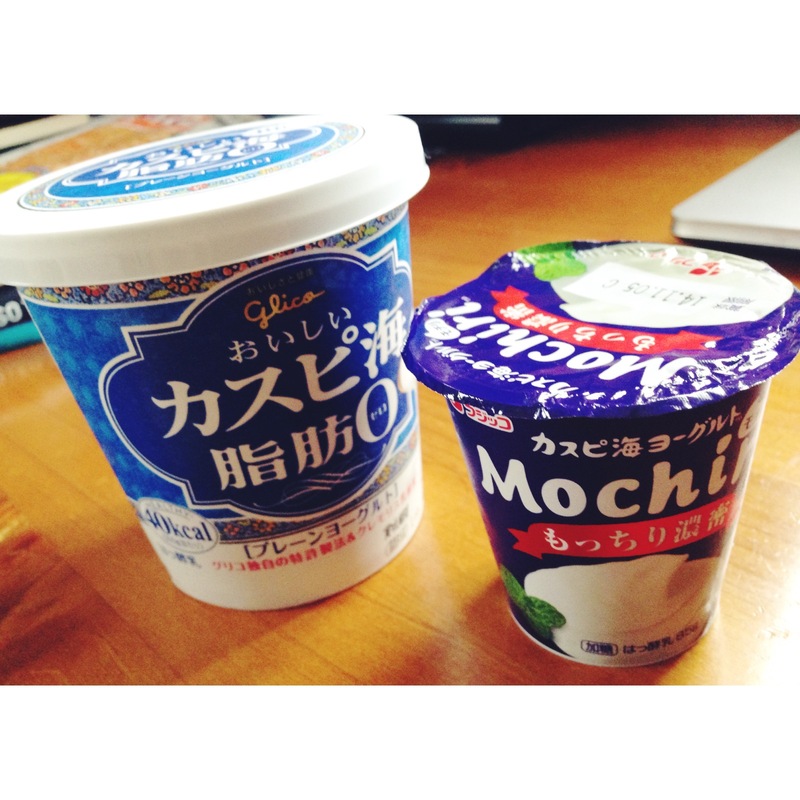 I’m proud to present this “Kazeri” yogurt from Megmilk. Normally, I don’t really buy products from this brand, but this yogurt is REALLY the BEST choice for me as of now. I’m focusing on getting the most value out of the least calorie and this yogurt delivers just that! For the whole 100 grams, it is just 35 kcal, 3.7 g. of protein, no fat, and 4.9 g. of carbs. I cannot opt for a better choice. I was kind surprise actually that with the weight of 100 grams, it is the LOWEST in calories right now in the market. The taste is not too sweet. The texture is very very soft and silky, super suitable to blend in with milk or your oatmeal in the morning as it doesn’t cause any lumps while stirring; it would blend in right away! And this point actually makes me give it a high score for the evaluation. 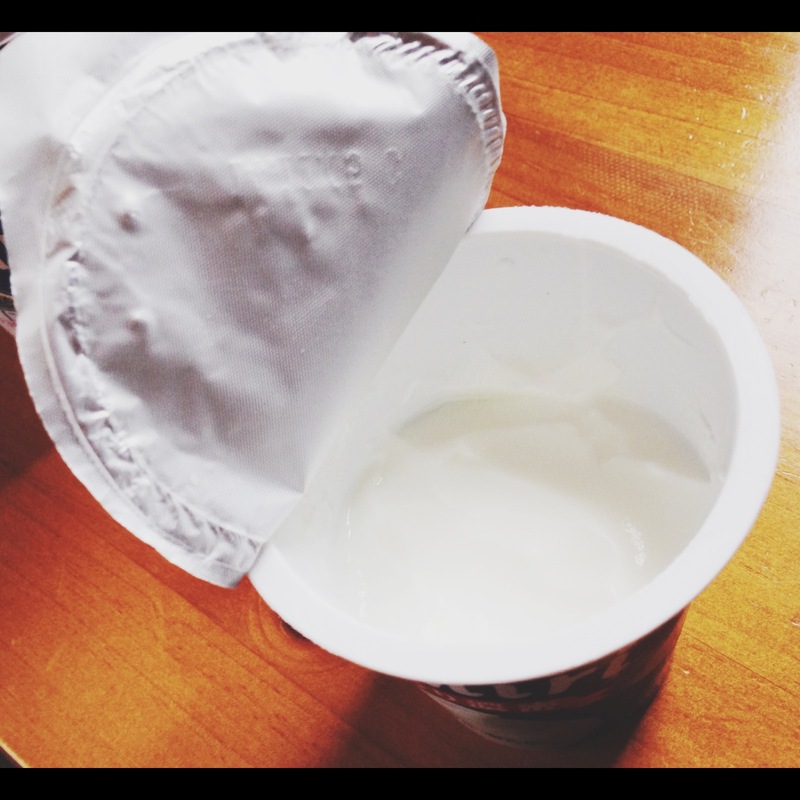 There are 2 variations for the yogurt type: plain and with aloe added. (I don’t know why Japanese people love to eat this aloe jelly thingy lol). There is also a drink type. Now, what is “Kazeri”? Its real name is Lactobacillus gasseri. The part that is of interest here is the strain SP of this gasseri bacteria because it is said to help REDUCE body fat. 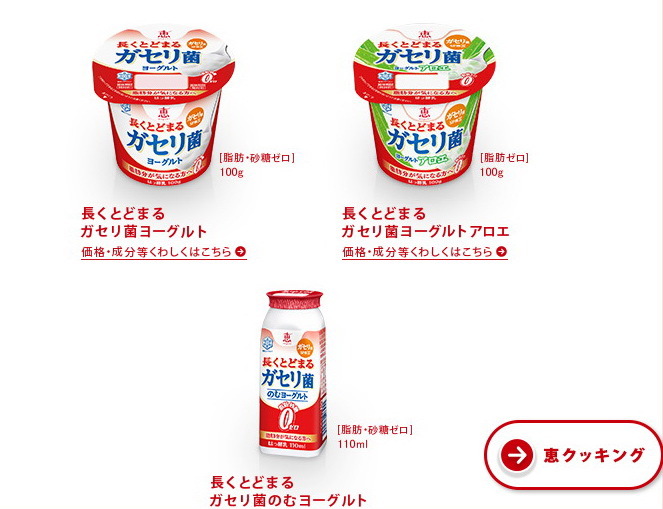 Normally, Bifidobacteria is more famous when it comes to yogurt, but recently, gasseri has been introduced to Japanese market and has become a big hit. Both of them help improve our intestinal environment; the difference is that Bifidobacteria works in the large intestine while Gasseri works in the small intestine. The latter can stay up in our body for more than 90 days! According to a beauty blog I found, there is an interesting experiment that divides respondents into 2 groups: one taking yogurt WITH gasseri and the other group WITHOUT gasseri. They ate the yogurt twice a day for 12 weeks. The result is that the former group saw a decrease of 4.6% in their belly fat, and 3.3% for the under-skin fat. (Please don’t mind my non-scientific terms lol) Anyway, the point is that this yogurt is made known as a helper to reduce your body fat. You can find this in most convenience stores although I would say it is NOT that widespread as some other yogurts. I found it in Family Mart most of the times.